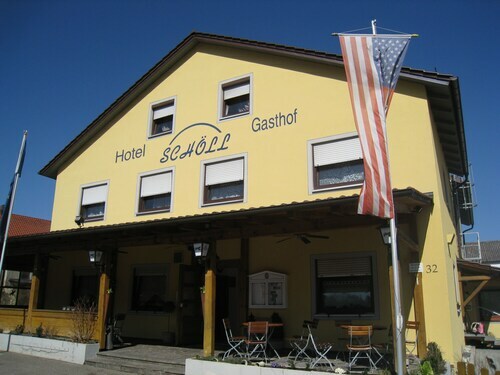 Situated in Parsberg, this hotel is 5.5 mi (8.9 km) from Parsberg Castle and within 20 mi (32 km) of Castle Ruins of Wolfstein and Lauterhofen Golf Club. Lothar Fischer Museum and Klinikum Neumarkt Hospital are also within 20 mi (32 km). 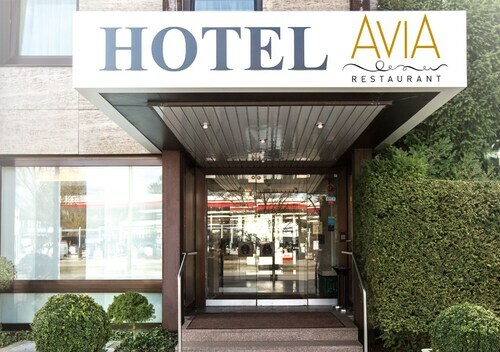 Situated in the business district, this hotel is 3.1 mi (5 km) from Parsberg Castle and within 20 mi (32 km) of Castle Ruins of Wolfstein and Lothar Fischer Museum. Klinikum Neumarkt Hospital and Neumarkter Sandduenen Nature Reserve are also within 20 mi (32 km). 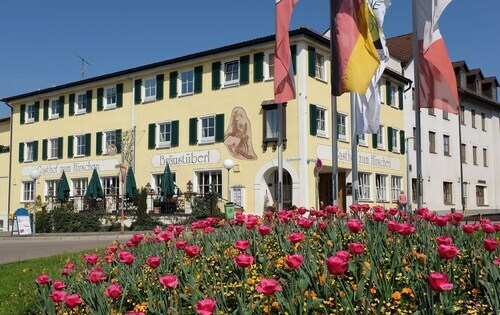 Situated in Parsberg, this spa hotel is 0.3 mi (0.5 km) from Parsberg Castle and within 20 mi (32 km) of Neumarkter Sandduenen Nature Reserve and Castle Ruins of Wolfstein. Lothar Fischer Museum and Klinikum Neumarkt Hospital are also within 20 mi (32 km). Parsberg Station is 9 minutes by foot. You don’t need to be entered in the Westminster Kennel Club Dog Show to want to travel with your four-legged friend. 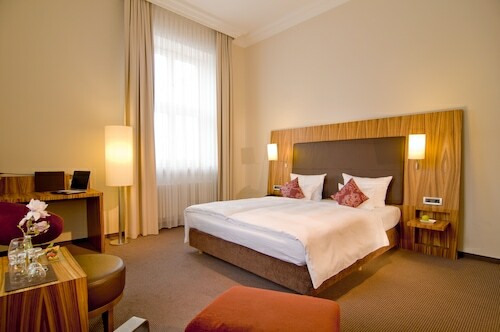 Luckily for you, you can book pet friendly hotels in Parsberg through Wotif, so you should be able to get a cheap room with no trouble at all. Having Fido or Mittens along for the trip keeps the entire family together for your holiday. Plus, you can’t fall asleep if they are not nestled on your feet, right? Whether you are walking around town or enjoying a relaxing afternoon in a nearby park, downtime is always better with your furry (or scaly) pal around–it’s not socially acceptable to play fetch with complete strangers. With Wotif, you can book pet-friendly accommodation in Parsberg in a flash so you have more time to pack your pet’s outfits for the getaway. You do have matching Hawaiian shirts, don’t you? You’re on holiday, mate. If you packed properly, you left your worries at home. Having a hotel that cares for your tail-wagging family member is one less thing to be concerned with. Use Wotif to find the best Parsberg pet friendly accommodation, no matter where you want to go. You’ll get a great deal on a room close to a dog park and even hotels that accommodate to our lizard friends. Plus, you’ll save enough money to buy your mutt-ly mate a souvenir from a local pet boutique. 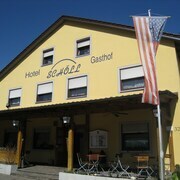 Good hotel very close to the station and therefore close to the old town ,easy to get to . Good breakfast great bed . If your going to Regensburg the old bridge is covered in scaffolding .naturally history needs to be protected and repaired so DONT be disappointed !